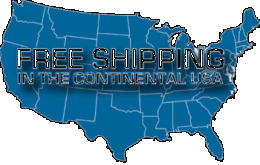 mobileiGo.com and most suppliers of products sold on mobileiGo.com accept returns for most items within 30 days of shipment receipt. Items shipped from mobileiGo.com can be returned within 30 days of receipt of shipment in most cases. Some products, such as but not restricted to, refurbished items or pre-owned or used items, have different policies or requirements associated with them. Items returned for a refund, credit or exchange must be returned in 100% re-sellable condition with all of the original packaging intact, manuals included and undamaged and the item/product brand new, never used. All items returned that are not determined by mobileiGo.com to be in as-received, brand new, re-sellable condition, will incur a 30% restocking fee. All items returned for a store credit that are returned in brand new sellable condition with all original packaging, manuals and accessories intact and in new condition will be subject to a 15% stocking fee to cover processing costs. All items returned for a refund that are returned in brand new sellable condition with all original packaging, manuals and accessories intact and in new condition will be subject to a 20% restocking fee to cover processing costs. mobileiGo.com reserves full rights to determine at its sole discretion whether items are in "re-sellable condition." Orders cancelled or returned after shipment and before receipt or packages that are refused without prior explicit written or printed approval from mobileiGo.com may be subject to a 30% restocking fee. Products that are received defective or damaged may be returned for an exchange or store credit with no restocking fee charged. Defective or damaged products returned for a refund will be subject to a 20% restocking fee. mobileiGo.com and its suppliers reserve full rights to determine at its sole discretion whether items are defective or damaged prior to receipt by the customer. Only products determined to be defective or damaged prior to receipt by the customer will be considered as defective or damaged and eligible for credit or refund under this "defective or damaged" criteria. Products that are determined to have been damaged by the customer will be rejected for store credit or refund and will be returned to the customer at the customer's expense, i.e. the customer will be responsible for any shipping costs associated with returning the item to the customer. Returns can be initiated by the buyer by logging into the "Return Center" or simply by logging into the buyer's online account at mobileiGo.com. In the event that you have purchased an automotive product shipped from and sold by mobileiGo.com that is defective and is covered by a manufacturer’s published warranty, you, the customer should contact the manufacturer of the product directly to request a replacement or other arrangements directly with the manufacturer according to the manufacturer's published warranty. New desktop, laptops or tablets purchased from mobileiGo.com that didn't start when they arrived, arrived in damaged condition, or is still in an unopened box can be returned for a full refund within 30 days of purchase. mobileiGo.com may test computers that are returned because they didn't start when they arrived and impose a customer fee equal to 15 percent of the product sales price if the customer misrepresents the condition of the product. New, used, and refurbished products purchased are subject to the returns policy of the individual vendor. Unless otherwise specified, games, software downloads, eBooks and purchases from the mobile i Go web store are not returnable after purchase. eBooks you receive as a gift are eligible for exchange for a mobileiGo.com Gift Card before acceptance. mobile i Go Balances and Gift Cards are not returnable after purchase (except as required by law). Neither refunds nor exchanges will be offered or given for any mobile i Go Balances or Gift Cards (except as required by law). Hazardous materials, including flammable liquids or gases are not returnable to mobile i Go . Contact the manufacturer directly for service, warranty, return, and refund information. Watch and Wearable items with a value of $35 or more should be returned using a trackable shipping method. Items returned without original documentation will be rejected. All returns for televisions should be in new and unopened condition. For warranty or defect returns for televisions, contact the manufacturer directly.